Drizzle oil in a heavy bottomed vessel and roast the channa dal on low to medium heat for 3-4 mts. Add split gram dal, coriander seeds and dry red chillis to the roasting channa dal and continue to roast till the dals release their flavor and turn golden. Remove and cool. 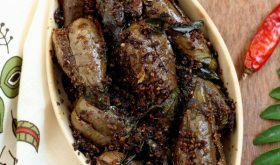 Place the cooled dals and spices along with salt in a blender and grind to make a coarse powder. Add the garlic towards the end and grind for a few seconds. 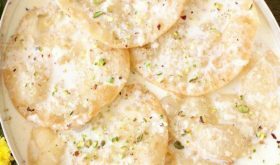 Store in an air tight container and serve with South Indian tiffins like dosas and idlis with a generous helping of ghee or oil. podi looks good,,,thanks for sharin,..and ya idli looks yummy tooo. Looks beautiful, perfect Idlis and Chutney pudi too. Wish my family eats those podis, I always have to make gravy or chutney with Idlis or dosas. I have tried making idlis atleast 100 times,but mine never comes out so white and fluffy….Hmm will hunt your blog for the secret of making so perfect idlis..
Actually You initiate me to cook delicious items through your site. Nowadays this is my full time work. Today i forgot to cook lunch!!!!!! Simply keep on watching…. In future i think i’ll be an expert in cooking??? Perfect combination.I love this.Can we add water to this podi and have it like chutney?’coz my husband prefer chutneys than podi in tiffins. you can add sesame oil or sunflower oil to get a chutney consistency. I am a regular visitor of your blog. your photos are really tempting and recipes are great. Thanks for the podi recipe, will try it soon. This dry chutney looks very similar to what my friend would bring in tiffin… very very delicious!! lol – we make 3 different kinds at home – a spicy one for me, a green coriander one for my daughter and a sweet version for my husband!! now i’m gonna add a 4th! 🙂 thanks for your recipe! I am eyeing the Idlis they look so delicious, love this podi Sailu we always bought ready made ones and hubby has it with rice too. Thanks a ton for sharing it. Eagerly waiting for the other ones. Do we use a particular kind of red chili? once when I made Sambhar powder I did not get the red color and then my friend told me about using some other kind of red chili. I love the color of your Podi. can you please tell me which red chili you used? Wow.., awesome one Sailu, my nanamma still amkes the podi in the same way, but even coarser.. My fav combo with idlis!!! i love the colour of this. thanks for the recipe. You are right. The variations are endless. I lve Podis so much that I catalogued the variations in the One page cookbook – 1001 Podis. 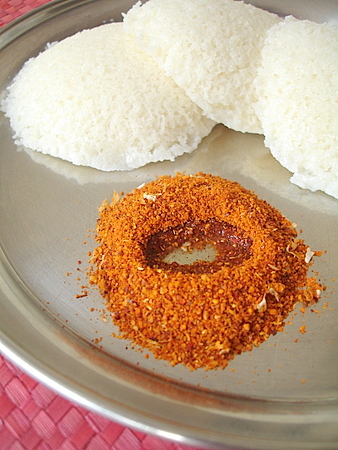 Podi and idli looks appetizing!!! this is the only way i like idlis 🙂 with podi and sambhar! i call them little heaps of dynamite!! your’s looks fab!! That looks so lovely and appetizing! I have a new found affection for Podi thanks to your blog and I hope to try all of your podi recipes. Thanks, looks lovely and mouth watering..
How do some karm-podis look dark brown?. Any clues? I am a regular follow up of ur site.. 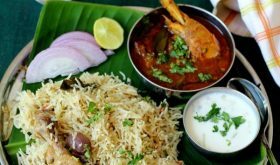 I am new entrant to food blogging world, and have to learn lots from experienced food blogger like you. Podi looks really great and simple to make. Love this podi! 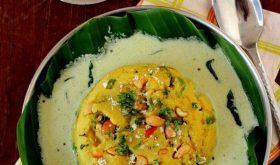 I love eating dosa podi also with steaming hot rice and ghee. Nothing’s like it!!! 2. For the idli karam podi, for a low-med spice level, how many chillies wd you recommend? I tried this podi today. It turned out good. The only problem I had was the colour. I did not get the colour as shown in ur picture. I used the exact measurements and steps as u said so could you please let me know if there is anything that I am missing. A lot depends on the type of red chilli used. today, i was searching for diff versions of idli podi’s n came across ur version for it…my mil adds roasted peanuts also while grinding the above mentioned ingredients… tht too tastes reallyyy gd. do try it out next time…else all your recipes sound too gd n am sure taste gd too…keep up the gd work. Podi really works good..ur site is very useful for ppl like me. Which type of chana dal did u use?Is it pachi senagapappu or veyinchina senagapappu? I tried it with pachi senagapappu n it really turned out well.Btw thanks for the recipe. Pachi senaga pappu. Glad it turned out well. Hi Sailu, Idlina idhu idly. Beautiful Combination with Podi. Looks so yummmmmmmiiiiiiii. In idli karampodi my wife adds little ” dhaniyalu “. It improves the taste.Has anybody tried ?. 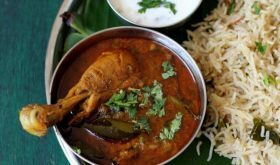 if you add raw curry leaves ,some dried coconut and a very little raw Tamarind to that it’s gives a nice flavour and taste…. hai sailu..im having a doubt….how did u get such white idlies?.pls post that recepie also.. I made this idli podi today with the ingredients exactly as listed above – but I felt the taste of dhaniyalu is too strong. Are you sure that we have to use a little less than 1/2 cup of coriander seeds? Isn’t this too much? It is individual preference. Reduce to 1/3 cup. Can you use it for 200 years? By black gram do you mean the one we use for making for making dal makhani? I know this sounds silly but I know of 2 variants of the black gram – one is split (i dnt know what we call it) and the other one is used in dal makhani etc. Use the split gram dal without husk. It is white in color.